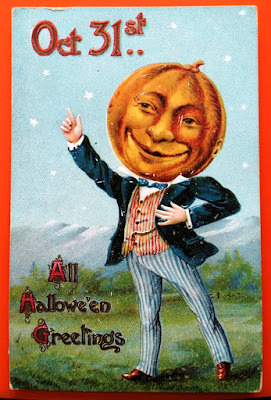 This jolly pumpkin man and I wish you a Happy Halloween! Photos don't really do this antique Halloween postcard justice: it's one of the best in my collection, and my very favorite. 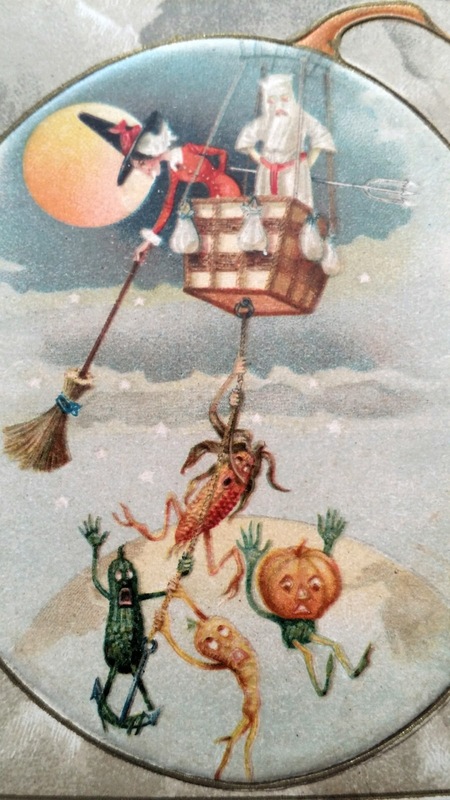 Published by John Winsch of New York in 1914, it features fantastic, tiny illustrations of a witch and ghost in a hot air balloon, fending off veggie people clinging to the anchor rope, while a bemused gnome watches the excitement from his airborne bat. 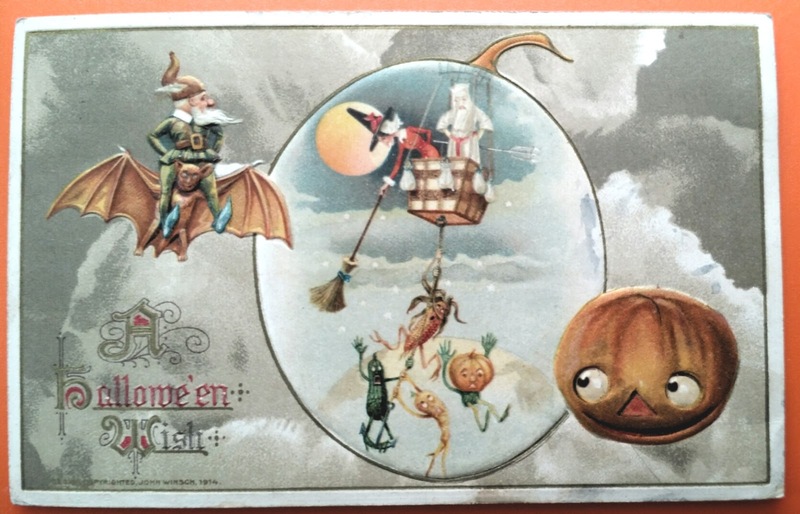 Some close-ups reveal the detail of these imaginative illustrations. 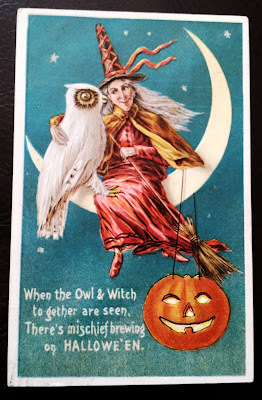 This antique postcard features a witch and a rather unusual owl taking a break from their Halloween festivities while resting on a sliver of moon. 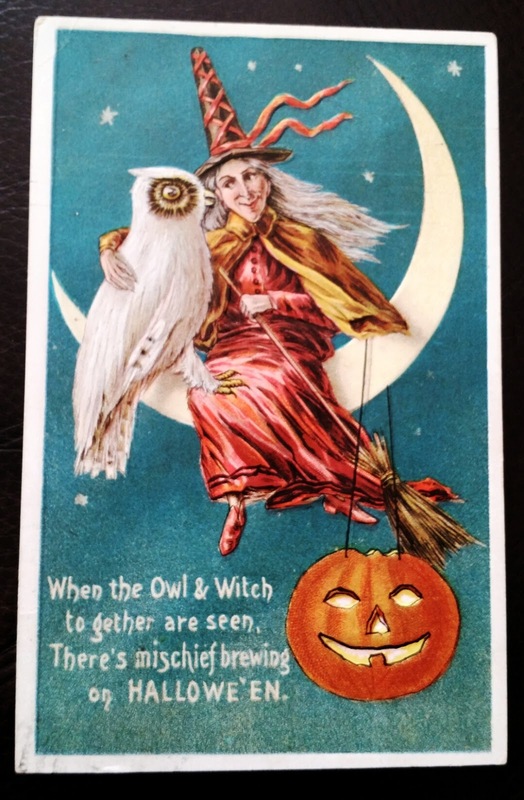 The caption reads, "When the owl & witch together are seen, there's mischief brewing on Hallowe'en." 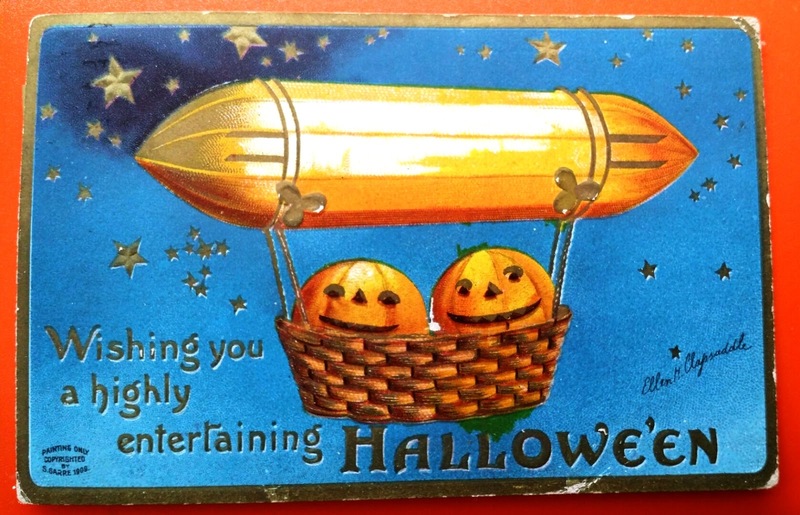 Dated 1911. 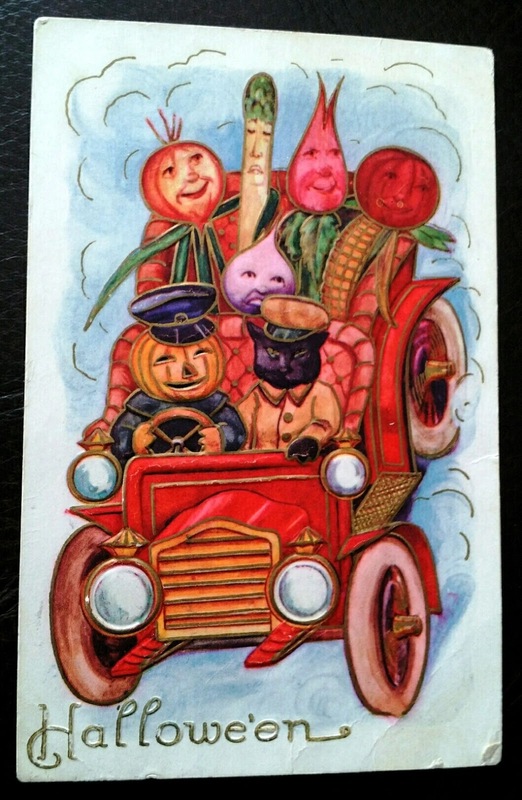 The dapper pumpkin man on this antique Halloween postcard bears a bouquet of smiling veggies with the caption, "Hearty Hallowe'en Greetings." 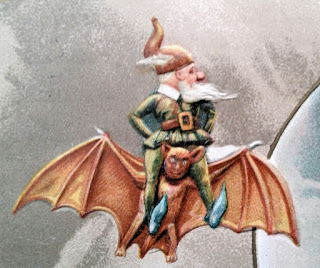 Printed in Saxony, early 1900s. These are two antique Halloween postcards by iconic illustrator Ellen Clapsaddle. They were copyrighted and mailed in 1909, and have a delightful, whimsical charm. 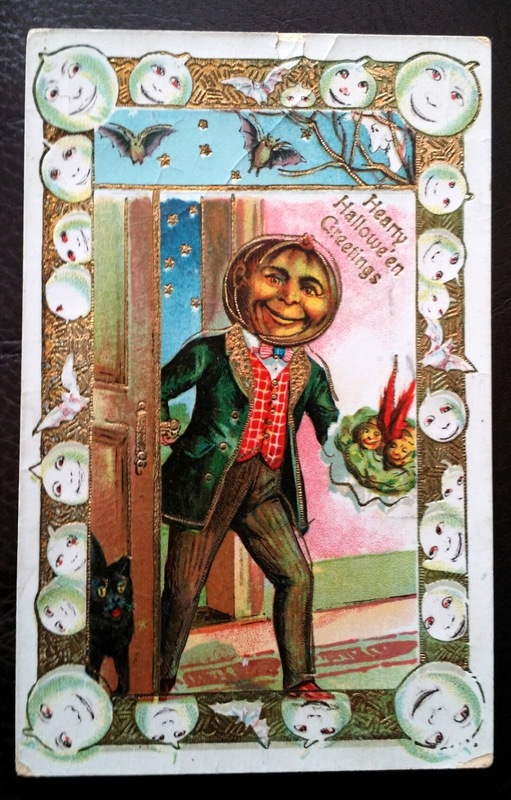 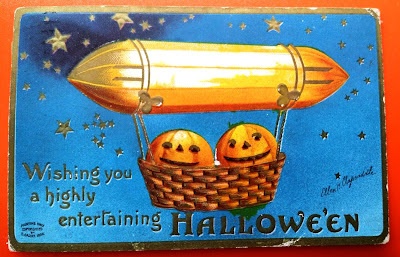 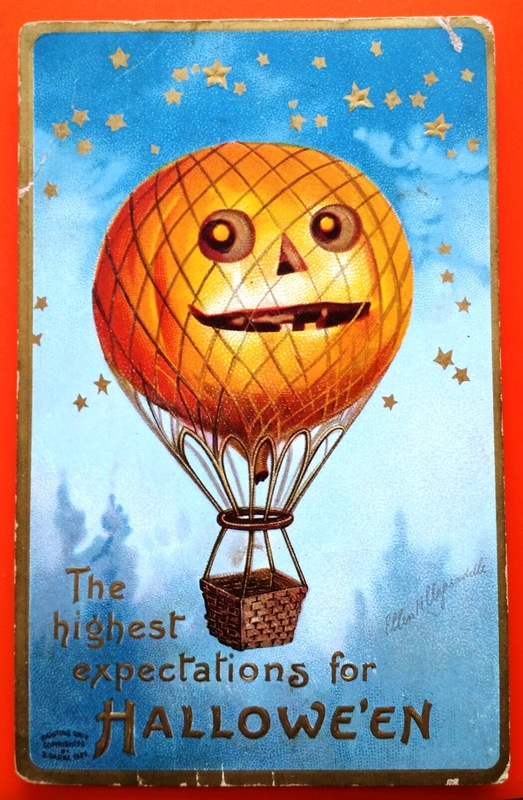 This October I'll highlight some favorites from my antique Halloween postcard collection.